Pictures, pictures and still more pictures! Thanks Coach Davis for all of these. The top shots are from the distance crew and below them are a number of shorts from the field event athletes. To see the female sprinters, click here and here to see the men. 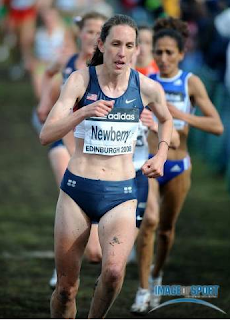 Remember, Sunday Coaches Newberry and Moran will be running at the World XC race. Check here for results tomorrow evening. First off, here is a preview of the men and the women for the outdoor season. To see all the results from Friday and live on Saturday, please click here for track events and here for field results. Here is a sequence from all five events where Guevel finished 5th at the ECAC meet. There is no meet this weekend, but we will have interview posts this week and other items as we head for the World Cross meet for Kathy Newberry and Ed Moran which is in Scotland next weekend. 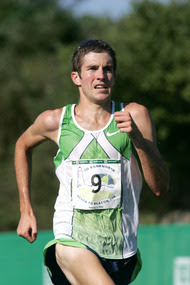 Allie Lewis '08 took these pictures at the ECAC meet of what it was like for the team when they weren't racing. Click on Kayle Byrne's picture above to see them. Clicking on an individual photo will make it larger and resting your cursor on a shot will allow you to see a caption about it. Jeri Daniels, who has held the discus record since 1981 and is number two for the shot put recently showed up at Randy and Shelby's for dinner. As you can see above, Jeri and her family were joined by the current female throwers and the Stimsons. 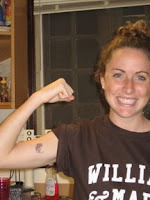 You can read about Jeri's time at W&M, by clicking here. Above are pictures from the VCU Invitational. The first is the sprinters, then the distance runners and finally the throwers. Additional photos of Guevel and Zimmer can be seen by clicking here and click here to see the vaulters. To hear Kathy talk about her runners at the ECAC meet, as well as what to expect from the outdoor season and about balancing her own running with coaching, please click here. The top video Cam Shriver who won the IC4A high jump in 6.10.75 (5th All-Time W&M. Next is Allie Lewis who was fourth in a school record in the 800 meters in 2:09.68 and finally the entire 3K that Emily Anderson won. To see the 5K with Emily Gousen and Kayley Byrne who were 8th and 15th click here; to see Alyssa Gaeto's series of long jumps in which she finished 10th, click here, click here to see Allie Lewis in her preliminary round of the 800 meters and finally click here to see Nicole Kazuba's runner-up jump in the pole vault. 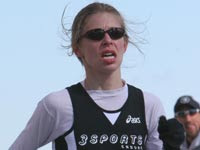 Unfortunately Emily Anderson '10 just missed making the mile field at the NCAA indoor national meet this weekend. Fortunately she did have a tremedous season and by tomorrow night we will have her entire ECAC 3K race up on this site as well as an interview with her and Cam Shriver. The team will also be in action at its first outdoor meet this weekend and Coaches Moran and Newberry are running an 8K road race. We will have the interviews with our IC4A/ECAC champions as well as video coverage of a number of the races/jumps not on flotrack.com up by Wednesday evening. You can see video of the races by going here. 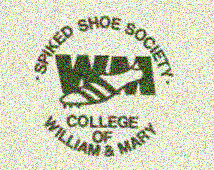 We now have a number of people on our Facebook page and for the alumni who have been around a bit longer like myself, please consider joining the Spiked Shoe Society page on Linkedin. To do so, just click here and follow the instructions. Tomorrow we will also be adding a podcast interview with Kathy Newberry and this weekend we will have video, races and pictures from "behind the scenes" of the IC4A and ECAC Championship meet. The top video is from Allie Lewis who barely missed her PR in 2:52 and the second interview is with Drew Midland who PRed in 8:22. Both performances qualify for the ECAC/IC4A meet. Anderson was named ECAC athlete of the week on the strength of her 4:43.33 school record.